How do you listen to your music? Spotify? YouTube? iTunes? Forty years ago the world got its first glimpse of what would become one of the most important music devices in history - the compact disc (CD). The CD was invented in 1979. At a time before before online music existed, it became the most sophisticated way to store and play music. On the 25th anniversary of its first public release in 1982, it was estimated that 200 billion CDs had been sold worldwide. It's the Dancing on Ice final this weekend! Kylie Jenner: What actually is a billionaire? Here's everything you need to know about the CD. In 1979, the first prototype CD was revealed to technology enthusiasts in Europe and Japan. 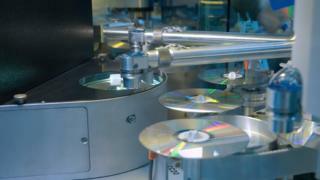 A year later, electronics companies Philips and Sony teamed up to begin working on CDs for the public. They decided on a thin, shiny and circular storage disc, which could hold about 80 minutes of music and could be put in a CD player to play music out loud. WATCH: Can these kids work out how to play the first ever pop CD? CDs were made available to the public in 1982 and they quickly became the most efficient way of storing music. Before CDs, music was stored and played on vinyl and cassette tapes. Vinyl discs were a lot bigger than CDs and could be broken easily. Cassette tapes used magnetic tape, and the music played through from left to right. Once one side was done, you flipped it over for more songs on the other side. Even though cassette tapes were small, CDs soon became more popular because you could skip directly to the song you wanted to listen to. 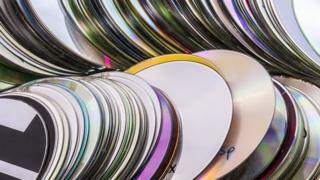 By 2007, over 200 billion CDs had been bought and sold around the world. A BBC programme called Tomorrow's World introduced British audiences to the CD in 1981 - the presenter Kieran Prendiville was sceptical "whether there's a market for this kind of disc"
Sales of CDs fell by almost 25% last year and - since 2008 - CD sales have fallen by 10 million every year. In 2001, iTunes was launched by computer company Apple. 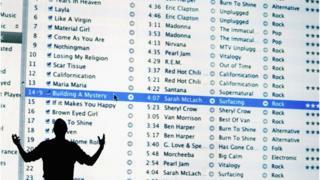 For the first time, people could buy songs online individually instead of having to buy whole CDs. Plus, you could store the songs in playlists on your computer. In 2008, music streaming site Spotify was launched. It offered the chance for people to listen to unlimited music in return for a monthly subscription fee. More than 63% of music listeners are now using streaming sites with unlimited choices. A total of 91 billion songs were played on Spotify, Apple Music and their competitors last year - the equivalent of 1,300 songs per person in the UK.